The American dream of retiring comfortably is getting tougher than ever. Today, many retirees spend decades longer in retirement, which present the challenge of making their savings last throughout a long lifespan. You need to find the best retirement investments to generate regular income to maintain your lifestyle in retirement without going back to work. But How Can You Do That? One common advice from financial professionals is to construct a portfolio of stock, mutual fund, annuity, bond index, bank Certificate Deposits (CD) and real estate investment to generate retirement income. However, as we all know investing in stocks and mutual funds does not guarantee a constant stream of income due to stock market volatility. I am going to be blunt: there is no way you can predict future income when it comes to investing in the stock market. Hi! This is TQ. Here’s my profile. I am living my dream of retiring early at the age of 51. I use this best retirement investment strategy to generate enough wealth and produce passive income to allow me to retire early. This is an online business investment. Online business investment has turned ordinary people, including retirees, into millionaires. Through social networks and internet connection, retirees can now invest in themselves or other people ventures. You can turn a hobby into a profitable business with the help of a website. You can use your free times to invest in yourself: Launch Your Own Online Business to generate wealth and passive income to support your retirement lifestyle. 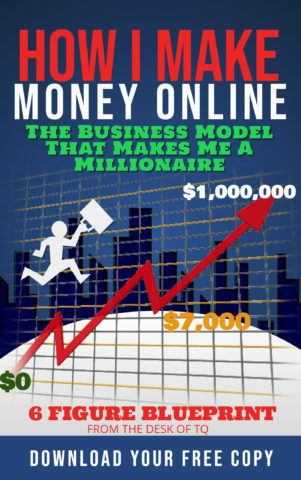 You can learn to build a successful online business by using my popular investment guide on ‘How I Make Money Online‘ to build an income portfolio for your retirement. Numerous studies have suggested that retirees are very suited for entrepreneurship. No wonder, many retirees have turned to the internet not only to connect with families and friends but to make money online. Let explore this opportunity and see how an online business can become the best retirement investments to help you build passive income supporting your lifestyle. Before we discuss the online business investment opportunity, let first visits the traditional retirement investment options. After all, it is wise to diversify our retirement investments, not putting them all into a single basket. Online business investment should not require a lot of your retirement funds. You can invest in this opportunity with little or no money. It only requires time. Time is what retirees have lots of. Therefore, adding an online business investment into a retirement investment portfolio is a great option for all retirees. The Best Retirement Investment At Age 60? Retirement is approaching quickly if you haven’t done this yet. 60 is the time to take an honest look at how much money you have saved for retirement. Your income during retirement will substantially reduce comparing to when you had a job. For some retirees, a sudden drop in income can be difficult to adjust. Without retirement funds, many retirees return to work or substantially change their lifestyle to avoid depleting their retirement savings. Now, It’s the time to take an honest look at your financial situation and determine where and how to generate income to replace the loss of earning in retirement. The traditional retirement investment options call for an income plan, not wealth accumulation or passive income generation. These retiment invetments including guaranteed income with growth potential and flexibility. The concept is to design a funding plan for an extended retirement while controlling the inflation, marketplace volatility and withdraws amount to avoid depleting the cash. This retirement investment strategy designs to invest in stocks that pay regular dividends into the retiree investment portfolio. This can be achieved by owning individual dividend stocks, or to keep things easy, buying a dividend Mutual Fund. Many investment professionals recommend this type of investment to retirees because it is a great way to hedge against inflation and market volatility. However, as we all know, dividend payments are directly connected to the company’s performance. It is not a guaranty income. The minute the company cancels paid dividends, the immediate loss of income is realized. Furthermore, the sudden cancelation of paying dividends will send a negative signal to the stock market, which can result in a stock price crash. These events can cause a big loss to the retiree investment portfolio. Because of these high risk, many retirees are recommended to add a small percentage of these stocks in their retirement investment portfolio. An immediate annuity is basically an insurance contract in that you pay the insurer a lump sum of money to receive a guarantee of a regular monthly income payment right away for life. Annuities are appealing to some retirees due to the fact they provide the ability to generate a steady monthly income in retirement. However, the validity of this guarantee is largely depending on the reputation and performance of the insurer. Furthermore, there is no return of principal from an immediate annuity. Bonds may not offer a good return as stocks, but they may be a crucial part of every retiree portfolio. With bonds, the retirees are less likely to lose money than investing in stocks. Bonds pay regular interest which can be a good way to generate a stream of income. Furthermore, some bonds provide tax-free profits to entice investors. However, bonds are not entirely a safe retirement investment vehicle. There are risks associated with bonds. The credit risk, your bond company might not able to make interest payments on time or not paying at all. Retirees also stand the risk of losing both principal and income if the company goes under. Another risk is inflation, the longer a bond’s maturity period, the more the threat that the payout won’t maintain pace with inflation. Then there is the market risk. In the bond market, the face value of bonds will fluctuate as interest rates change. In a rising interest rate market, you will see bond values decrease. Because of these risks, it is not wise to invest all your retirement funds into bonds. Owning an Investment property is the most direct approach to real estate investment. This strategy can produce a steady source of income from rental payment to fund your retirement. However, this approach does come with a couple of risks. First is the purchasing of the property, this can require a major one-time lump sum investment or taking a huge amount of debt. Once you have owned the property, there will be some unanticipated expenses of being a landlord. These include maintenance of the rental property, finding tenants, and making the mortgage while waiting for the monthly rental. Real estate investment is very exciting to many retirees. You can potentially lose all your saving if you do not know what you are doing. CDs are great investment products to have in a retirement portfolio. It is an important option to avoid market volatile with guaranteed monthly income from interest. Because of this, retirees falsely believe that CDs are the best options to protect their investment. However, it may not be a good idea to place all your retirement funds into CDs, due to the inflation risk. Inflation can result in decreasing the return on your investment. It will reduce your purchasing power due to the loss of monetary value. The best retirement investments to generate future income is starts your own part-time online business which can be operated as a home-based business. Below is a video introducing the concept of making money online which you can integrate into your retirement investment to generate passive retirement income. Life expectancies have risen by nine years over the past five decades, according to the Centers for Disease Control and Prevention. Today we are living longer, it means we need our money to last longer, too. The smart strategy to maintain your lifestyle in retirement is to continue building upon what you have been saving and investing for decades. You need to cut back on your expenses and put the extra cash toward saving. Take a good look at your monthly budget and see what expenses that are non-essential which can be eliminated. The method requires you to lower your lifestyle today to get ready for retirement. You can either get another job or sale stuffs that you no longer need to generate extra cash for investment. This means getting ready to pin on a name tag and call out “Welcome to Walmart”. According to the Small Business Administration, one in four Americans ages 44 to 70 harbors dreams of becoming an entrepreneur. A successful online business will produce passive income throughout your retirement. If one of your goals in life is to create your own business, the time to make a move on this dream is Now. Planning for retirement at 60 is golden because you can launch your business part-time, doing it in the evening or on weekends, for three to five years before you retire. A business should be profitable in three to five years by the time you are ready to retire. This should be the best source of income in your retirement. How do you approach your retirement investments today determine whether you will continue collecting a paycheck in the future? The obvious choice is starting an online business to generate future income to fund your retirement. Why is entrepreneurship the bes investment for retirement? Boomers grew up in an era of mom-and-pop shops. Most started from the bottom. You are a resourceful generation with full of creativity and handy skills for running businesses. You have lots and lots of life experience, especially in business experiences. The most important factor, the risk is much lower. You can start an online business under $500. The kids are all grown up and on their own, living expenses are typically lower, and you have saving and retirement pension for back up. Online investment does not require big funding. You do not need to tap into your retirement savings at all. The initial investment is so small, but the benefits of owning an online business are great. Beside generating extra income in retirement, running a business can add many more benefits to retirees. Study after study has shown staying physically active in retirement improved health issues and prolong your life. Additional research has shown inactive mind can lead to a decline in mental functioning and keeping an active mind reduce the risk of dementia and Alzheimer’s. Starting a business is not only a wise move financially, but it is also improved your health. Now is the time to pursue an idea that has been floating in your mind for a long time. Best of all, once your business gets off the ground, you get to call the shots. You can work whenever and where ever you want. You can take a break and spend time with the kids and grandkids. The option is endless. Many retirees struggle in retirement when their income is largely depended on Social Security or pension benefits. Owning a successful online business could provide extra income to help ease the burden. You can learn how to build a part-time online niche business to generate passive income supplementing Social Security and pension benefits. Start an Online business is an excellent option for any age group including retirees. The internet is booming, especially in the online retail industry. Online business is one of the most lucrative opportunities that require a very low initial investment. You can start a business as little as $588 per year or $49 per month. Best of all, you can operate an online business from anywhere, from home, while traveling in an RV, on a vacation abroad, or while visiting the children and grandchildren. Flexibility is the number one reason Online Business is the best retirement investment opportunity for retirees. These two opportunities are the most lucrative online business ideas that allow retirees to market their skills, passions, knowledge, and lifelong experiences to generate passive income for retirees during their retirement. Affiliate marketing is a way to earn an online income by promoting other people’s products. You do not own any products, dealing with inventory, order processing, and customer service. You just a promoter. This industry is forecast to reach $6.8 Billion by the year 2020. This is a huge opportunity for retirees to earn money online. This opportunity works well for people with expertise, trade skills, or technical knowledge in an industry or with special products. Operating an affiliate marketing business, you are offering advice, tips, tricks or reviews to help a potential customer in making an informed buying decision. You earn money when a customer follows a link on your web page and purchase an item. You are acting as a middleman connecting buyers with sellers, simple and easy. As a retiree, owning your own online business makes you the boss. It is up to you to decide which company or product you want to promote. You can promote Amazon, eBay, Shopify, Wealthy Affiliate, or more than one program. It is very easy to get into affiliate marketing. The initial cost is very low. You just need a business website with a custom domain name and a computer to start this business. You can get all of this here. I recommend setting up your free online business website with hosting and custom domain name with one company, this way when you experience technical problems, you do not have to deal with three or four different companies. 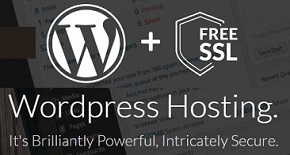 If you don’t know how to build a website, don’t worry, it is very easy to build one for free. 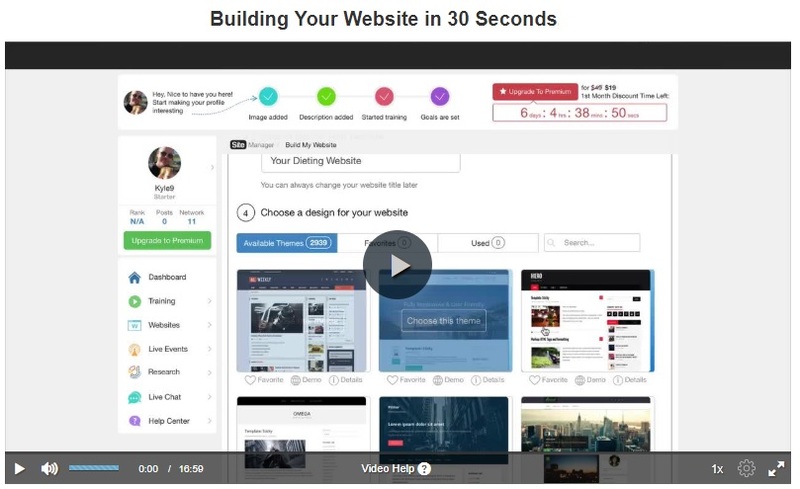 Below is a video to show you how you can create a website under 1 minute. Many retirees interest in earning money online but do not know where or how to start. Like everything, you start by learning. There are many free basic online training lessons for you to learn before spending any hard earn money toward building an online business. I recommend you try these 10 FREE Online Affiliate Marketing Training Lessons from the Wealthy Affiliate to see if this online business is for you. This training program is free. You only need a valid email address to sign up. I suggest you take this free training program to start your online retirement investments. A blog, short writing for weblog, is an online journal or informational website where a retiree can write or even a group of retirees share their views on a topic. If you love to write and you have a lot of interesting ideas, informational skills, or entertaining stories to share with the world, then think of a blog as a self-publishing retirement ebook to get your story out. Blogging is a perfect retirement business for people at the age of 60 because they have a lot of life experiences and professional skills to share with the world. There are many ways for the retirees to make money with a blog. You can earn money by writing a sponsored post, selling ad space, or Google Adsense program. There hundred of Ways to Make Money with A blog. It is fairly easy and cheap to start a blog. You can get one for free, but if you are creating your own business, it is better to purchase your own domain name and hosting to have more control over your earning and to build your own brand. To be a successful blogger, you will need training and educations. There are many free training courses available online for retirees to attend and learn the process of strating an online business. The most well-known free training program is the FREE Online Entrepreneur Certification Program offers by the Wealthy Affiliate University. There have been over 1 million people attended this training. I recommend you check it out if you want to launch a successful online business to generate passive income in your retirement. One important thing you need to remember when it comes to building wealth for your retirement, it needs time to grow. If you start investing in this business opportunity at age 50 or 60, you will be well on your way to generate enough income to support your retirement. Online business is the best retirement investments to generate and maintain sufficient income to assure a comfortable and worry-free retirement lifestyle for you and your family. Each of the online business options above can be the best retirement investment option for you. I want to personally invite you to explore this retirement investment opportunity with me by following the link below and start investing for your future retirement. Remember, when it comes to generating a reliable source of retirement income, you need more than just investments. You need a plan, an online business plan. Yes, the best retirement investment is Starting Your Own Online Business. Great article! I’m 56 and looking at a way to build a comfortable home based business that I can work into my retirement. You laid out a really intriguing plan for me to check out! What is it you love the most about Affiliate Marketing? Do you recommend trying the free-lance first? Diving straight into building an online business? 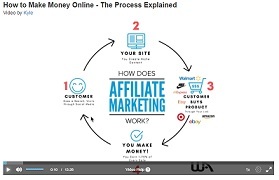 Affiliate marketing is a great way to launch an online business with very little investment. It is also great for retirees because you the physical side of running this business is little to none. You are writing what you love and your life experiences. Because the initial investment is so little, I recommend seniors to enter the affiliate marketing right away. The reason is business takes time to grow and become successful. You also have to learn about the affiliate marketing skills. You can learn how to become an affiliate marketer with the Wealthy Affiliate University. They have the most extensive online collection of training videos that will teach you everything about building a business online. Good luck. This is amazing. I love the layout of this article in explaining the benefit of running a business in retirement and it really a website with content so rich and easy to read. This will do awesome. Keep up the great work! Thank you Farrahn, I am always trying to provide the most valuable content to my reader. This is a great compliment from a reader that truly enjoy the work of art. This is a great article. I have never thought about starting an online business to generate income for retirement. It makes me think of my mother because she is almost at retirement age. I’ll pass on your website to her. You are not alone Jamie. Many retirees never thought about this retirement investment opportunity because no one ever tells them about it. The great thing is that you discover this and already launch your online business. I know you will be doing well and your mom will be doing well with this adventure too. The internet has changed everything around us. It is a great way for seniors to stay active and share their experience with the younger generation, besides the mone of course.